Bad weather doesn’t really bother us in this house – we actually quite enjoy playing in the rain. But the clock change a few weeks ago and the resulting dark evenings are putting a bit of a limit on our outdoor time. It’s fine on the days we are home – we just make more of an effort to get out earlier in the day. But our walk home from nursery is now in the dark, so we have lost the lovely half hour of playtime in the park we used to have. I don’t really know what to do about this. Work would frown on me leaving an hour earlier just so Tom can get some extra playtime. 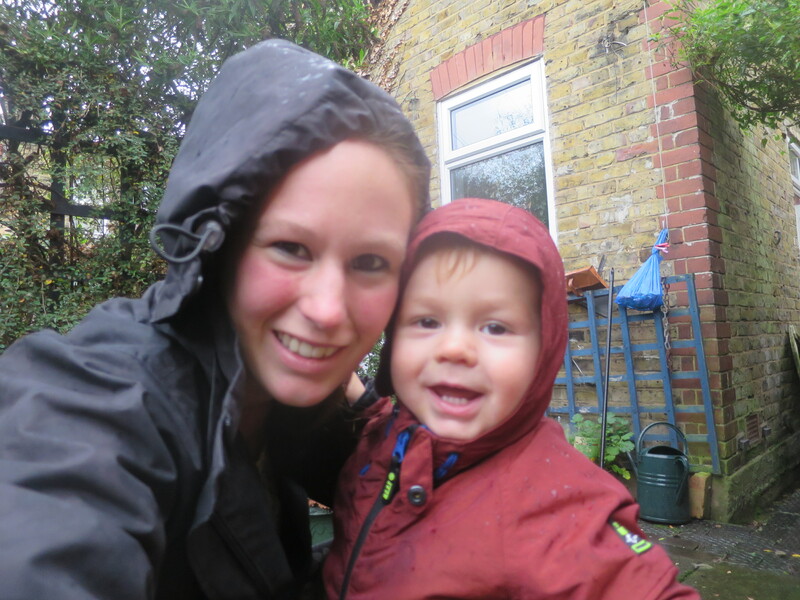 His nursery are great at getting them outside during the day but are, understandably, more wary of bad weather than we would be. Plus their play area is very much a playground, not a wild space. I want Tom to have some actual time in nature each day. I have been letting him out of the buggy once we reach the floodlit area of the park, which helps, but it would be easy for a little person to get knocked down by cyclists who don’t spot him in the dark. I’ve been sticking pretty close as a result, so he can’t explore as freely as he used to. The only solution I can think of is getting a bike light and attaching it to him somehow. Anyone tried that? Does it work or do they just find a way to remove it? Any other tips for managing outdoor play now the days are shorter? Posted on November 12, 2015 November 12, 2015 by LucyPosted in OutdoorsTagged clock change, dark, November, playing in the dark, short days, winter. Previous Previous post: How Do You Measure Success as a Parent? Ikea have great reflecting vests in three different sizes. Our kids love wearing them and pretending that they’re policemen, firemen or an ambulance crew. That’s a great idea. His waterproof trousers are bright yellow, but obviously he doesn’t wear those all the time. Will have a look at the vests.Thanks! Ikea have great reflecting vests in three different sizes which. Our kids love wearing them and pretending they’re policemen, firemen or an ambulance crew.